If you're extremely ambitious, want to make a difference, and earn a high salary (an average of $467,500), why not aim for the top? The highest level healthcare administrator job is formally known as the hospital CEO — the official "head of hospital." What does a hospital CEO do? Ensuring patient safety: Patient safety is a fundamental aspect of a safe healthcare organization. CEOs play a key role in the development, implementation and evaluation of patient safety measures. Maintaining financial health and stability: CEOs need to be conversant with financial management practices in order to support the Chief Finance Office (CEO) in decision-making. 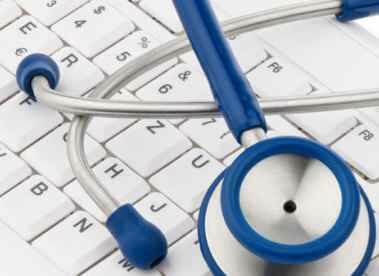 Promoting quality of healthcare: Quality of healthcare is an important aspect of the CEO role. A commitment to improve quality of healthcare (measured by indicators such as mortality rates and re-admissions rates) is increasingly recognized as pivotal to effective hospital functioning. Promoting patient satisfaction: This has become an increasingly critical performance indicator in recent years, and is now linked to CEO compensation as demonstrated by a recent research study. Strategic planning: Strategic planning is a critical function of any hospital CEO's job. It involves regular meetings with other senior executives, including the Chief Operating Officer (COO), Chief Finance Officer (CFO), Chief Medical Officer (CMO), and Chief Nursing Officer (CNO), to discuss future goals and objectives for the hospital. Policies and procedures: The CEO plays an active role in developing hospital policies and procedures, regularly reviewing policies and procedures, and revising as and when necessary. Recruitment: CEOs need to be able to foster an environment conducive to the recruitment of quality healthcare staff. In particular, CEOs are responsible for recruiting effective leaders for senior management positions within the hospital. Compliance: Hospital CEOs are ultimately responsible for ensuring organizational compliance with regulations, laws, procedures and policies. Communication and relationships: CEOs are expected to have excellent communication skills, and be able to develop good relationships with a number of key groups, including the board of directors, medical staff, community leaders, and other relevant stakeholders. Academic credentials: A master's degree is a must for any aspiring hospital CEO. Some of the most common master's degrees held by hospital chief executives include the Master of Healthcare Administration (MHA), Master of Business Administration (MBA), and Master of Medical Management (MMM). To have an edge over your future competitors, it's a good idea to choose a master's program that has been accredited by the Commission on Accreditation of Healthcare Management Education (CAHME). Experience: Hospital CEOs typically have around 15 years of experience in health management prior to becoming a CEO, with approximately five years of those years in a senior management position. A lot of CEOs tend to hold the position of COO prior to their appointment as CEO. Mentoring: If you are serious about becoming a CEO, quality mentoring is strongly recommended. Grove's research (2006), published in the Journal of Health Administration Education indicates that mentoring from a more senior manager — either formal or informal — plays a significant role in the career path of CEOs.